A gorgeous family scene portraying grandparents beaming, little ones wriggling and the generations in between smiling politely for the camera in a bid for this all to be over as soon as possible: this is the stuff to be found in photo albums and picture frames across the world. A joyful moment, captured in time. 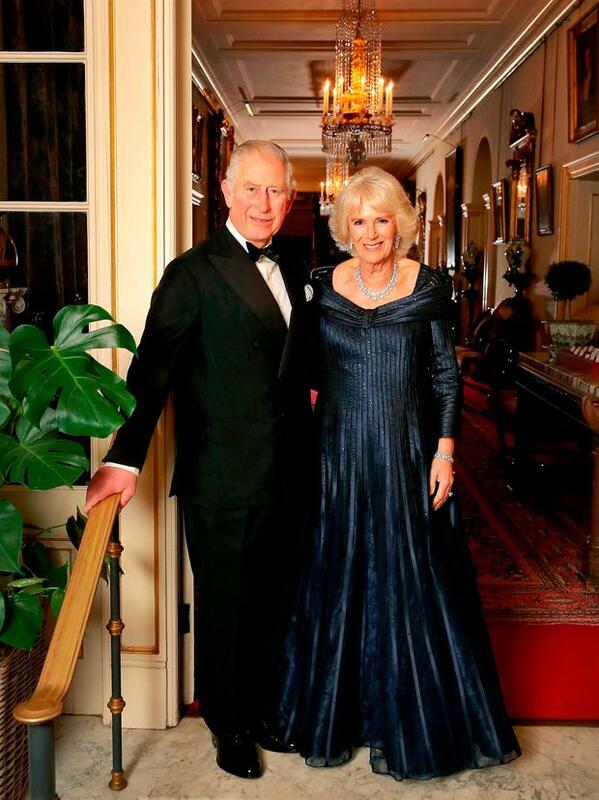 But for royal photographer Chris Jackson and the Wales family, the stakes were a little higher in the creation of the portraits released on Tuesday evening to mark Prince Charles’s 70th birthday. 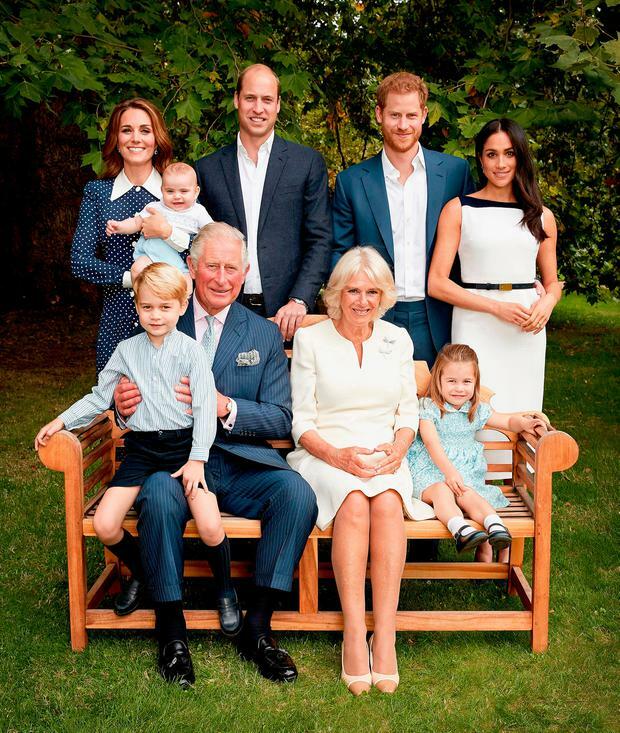 Whilst getting some nice pictures for the palace mantelpieces was a consideration, I’m sure, this was moreover an important public relations exercise, cementing Charles as a besotted grandfather with a photogenic young family of heirs around him. The thread which ties this stylish yet modernly formal scene together is the dress code- a classic palette of cream and navy. This is a matching exercise which the Duke and Duchess of Cambridge have mastered quite magnificently in their own past family portraits. They’re the ones who carry the look here, with Kate in a polka dot Alessandra Rich dress - politely appropriate but with the sharp fashion nous which has created a more elevated and regal look for the future Queen since her return from her third maternity leave. 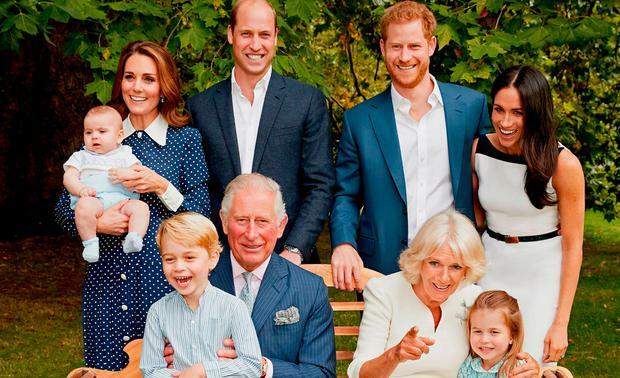 While the Duchess embraces her status as a fashion plate, the Cambridge children retain the traditional look which has become their aesthetic norm. George and Charlotte wear adorable outfits which they have been photographed in previously- an Amaia kids shirt and shorts for George and a floral smock dress for Charlotte. It’s a strategy which deflects too much attention on the young prince and princess’s economic power. Baby Louis does get a new outfit however, the £72 Carlina Boy Ceremony set by La Coqueta, a London-based Spanish label which specialises in the timeless, classically English childrenswear which the Cambridges have revived. Tellingly, the set is already sold out in all but one size. William and Harry do their signature smart-yet-relaxed look with no ties, the collars of their crisp white shirts casually unbuttoned. Their laidback approach contrasts with their father’s signature elan. He takes clear delight in adding a flourish with a pocket square and veering a little off message with a pink shirt, but that’s his prerogative when this image is all about him. It’s a sartorial demarcation of the modern, relatable image which William and Harry have shaped versus Charles’ sense of formality and flair. Finally, we have the Duchesses of Cornwall and Sussex, both in cream. Camilla is elegant in a dress by Fiona Clare with a touch of bling in the form of two dragonfly brooches- that Charlotte is by her side underscores the family’s closeness. As with Meghan’s khaki look for the christening of Prince Louis (when the rest of the family were in blue and cream, again), the black panels on her strictly tailored Givenchy shift dress are out of kilter with the rest of the palette here. With her yoga-honed arms proudly on display, her vibe is decidedly power executive. The soft curls and megawatt A-list smile more than make up for it, though.